Ruthie Jean Jones Jowers, 63, of, Seale, Alabama passed away Wednesday evening, September 12, 2018 at Piedmont Regional Medical Center in Columbus, GA.
A celebration of life service will be held 10:00 am EDT on Monday, September 17, 2018 at Vance Memorial Chapel (Vance-Brooks Funeral Home) in Phenix City with Rev. Dixie Holton officiating. Interment will follow at Lakeview Memory Gardens. The family will receive friends Sunday afternoon from 4:00 to 6:00 pm EDT at the funeral home. Ruthie was born June 23, 1955 in Phenix City, AL to the late H. J. Jones and Mary Frances Jones. She was employed with Columbus State University, previously serving for many years with the Muscogee County Health Department. She was a member of the Alabama Nurses Association. She enjoyed cooking, sewing, and her NASCAR Daytona trips. Most of all, she delighted in sharing special moments with her family, and especially spending quality time with her grandchildren. She was a lady of true grace who will always be loved and greatly missed. She was a Baptist by faith. Other than her parents, she was preceded in death by a brother, Ricky Jones. 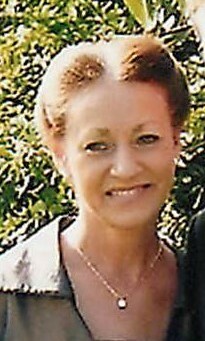 She is survived the love of her life and husband of 44 years, Henry M. Jowers; two sons, Henry D. “Jake” Jowers and Sandy Jowers, and Jason Jowers and wife Colleen; one brother, Steve Jones, and two precious grandchildren, who called her MeeMee Ruth, Courtlyn Jowers and Beau Jowers; nephew, Delane Jones; a lifelong friend Cathy Gallops and a host of extended family and friends.